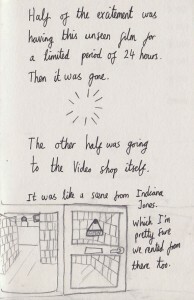 Just two of the drawings from Jamie Kyle’s hand drawn comic about his childhood memories of getting a video on a Saturday for all the family to watch that evening. 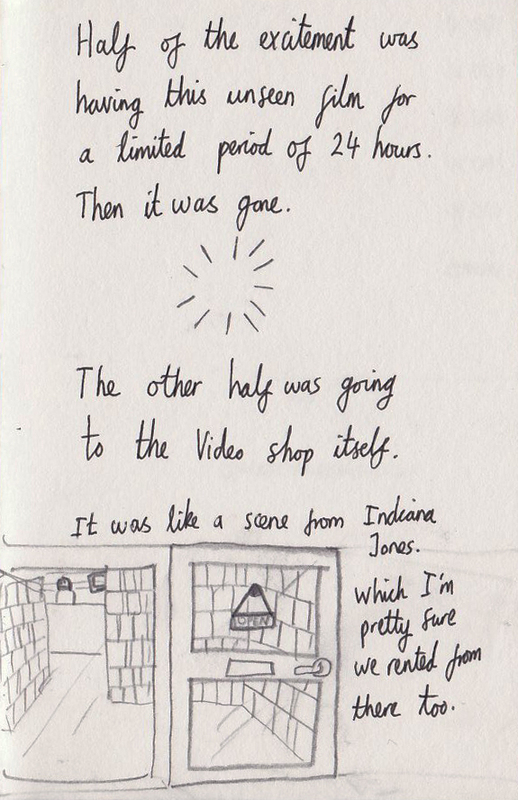 You can find his comic here . Thanks for your memories Jamie. We’ve been warned! 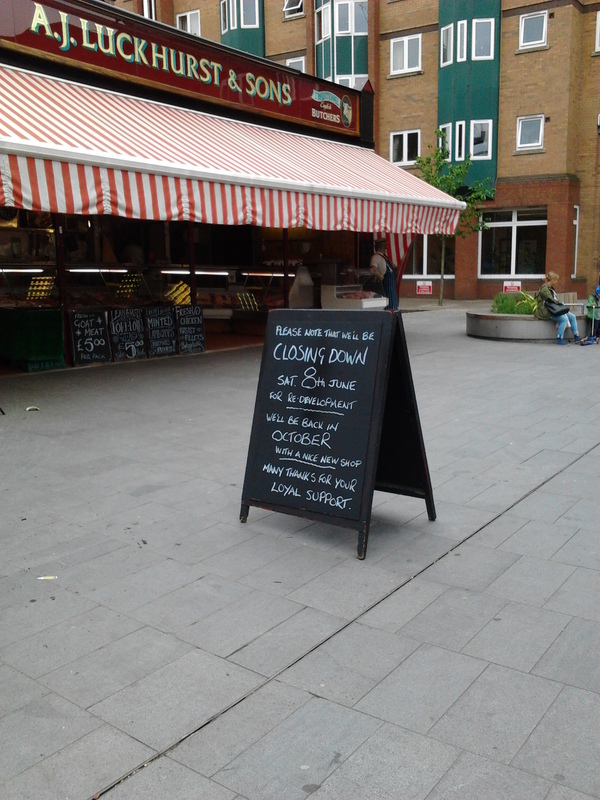 I saw the blackboard sign outside Luckhurst’s this morning saying they’re closing on June 8th whilst a new shop is built as part of the hotel build. 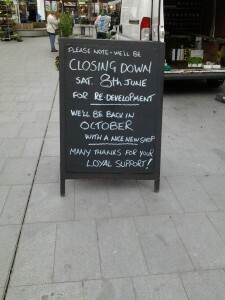 They will re-open in their brand new shop in October. That’s pretty quick so let’s hope the build goes to plan and we can welcome Tony back in good time for Christmas. In the meantime, just enough time to stock up the freezer to see out the summer. 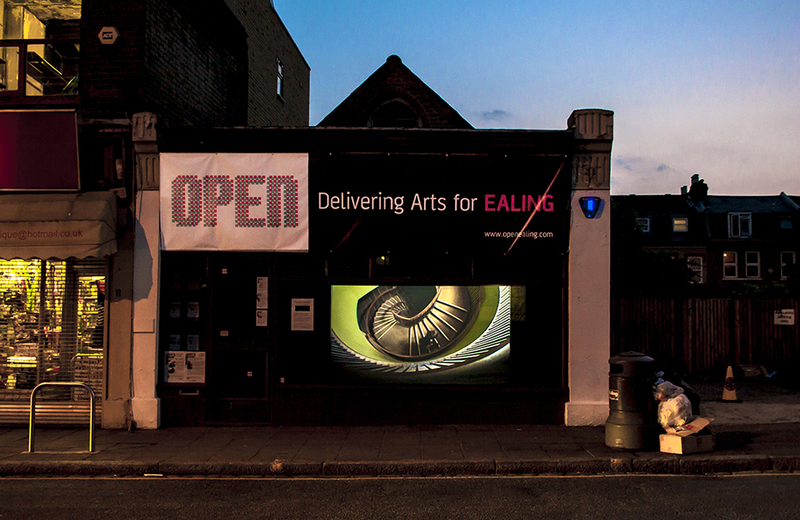 OPEN Ealing is continually seeking to develop its arts programme in Ealing. It is only possible by the generous support and contribution from members and supporters of OPEN that we can continue to provide a range of quality activities for the community. 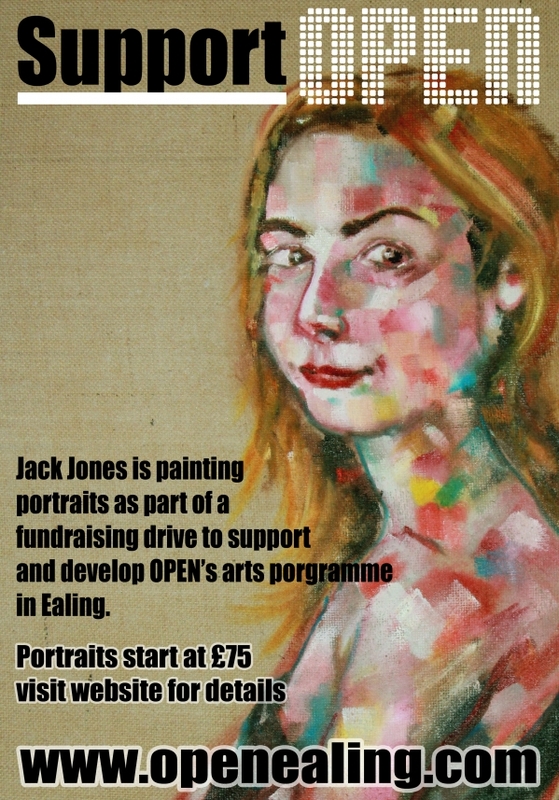 Deposit of £40 is required when ordering a painting. What’s been achieved so far and an opportunity to see the plans for phase 2. This is the most important development in West Ealing for a generation and phase 1 homes are now for sale. The development will take 8-10 years to complete and will increase the number of residents from around 800 to some 2,ooo. 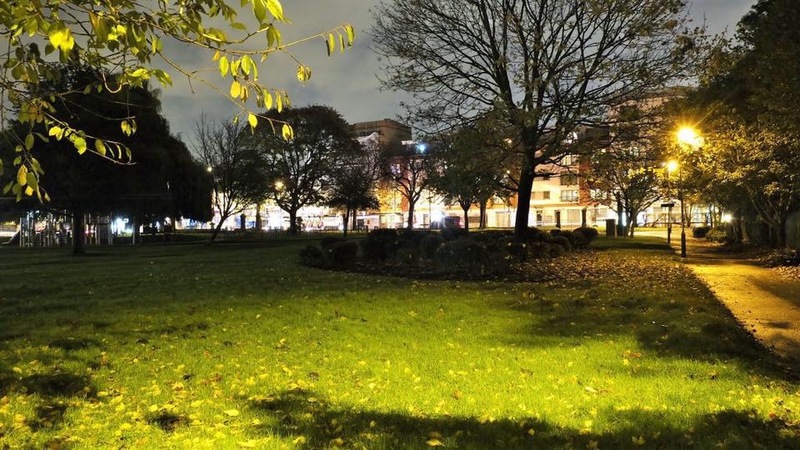 This alone will have a major impact on West Ealing. Add the coming of Crossrail and the redevelopment of the Sherwood Close Estate and there is a lot of change on its way. I think West Ealing is on the edge of change, as I’ve said above, and now is a good time to start thinking about what we want our high street to look like in 5 or 10 years time. I think it will look very different but that’s just my opinion. Come along and listen to some ideas and give us your thoughts and hopes as to what you’d like to see for our shopping centre. 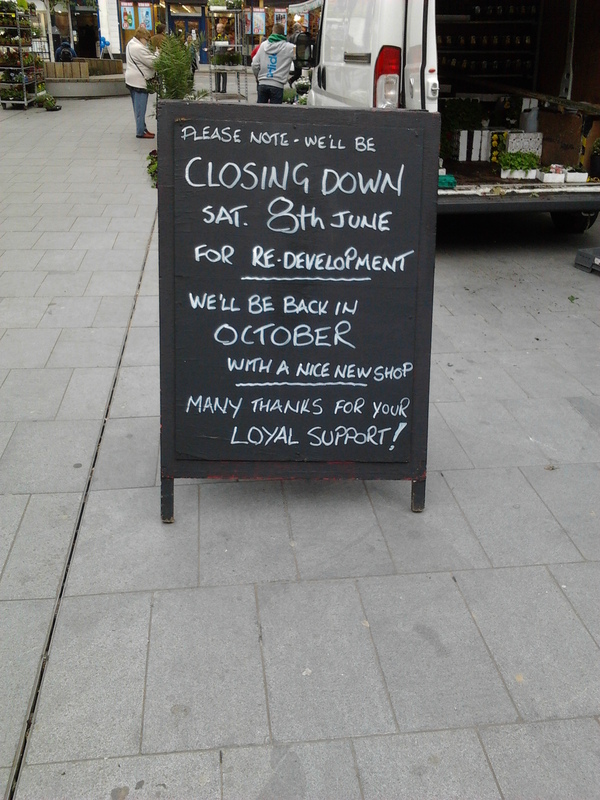 Is it different shops, fewer shops, more housing or maybe community services taking over empty shops? There’ll be live music, a raffle, bar and refreshments all in support of the Save Our NHS Campaign. Tickets are £5 (£3 concession) and under 16s free. Funds go to Ealing Trades Council for their efforts campaign to save local hospitals. Tickets on the door or reserve them at ealingtuc@rocketmail.com. West Ealing dance school needs dancers for its summer show – including someone to mime an old man, costume provided! The Pamela Howard School of Dance school in West Ealing is looking for someone to do a couple of mins of miming as an old man (Dr Copeilius) in our ballet Coppelia. Old man costume provided with wig!! 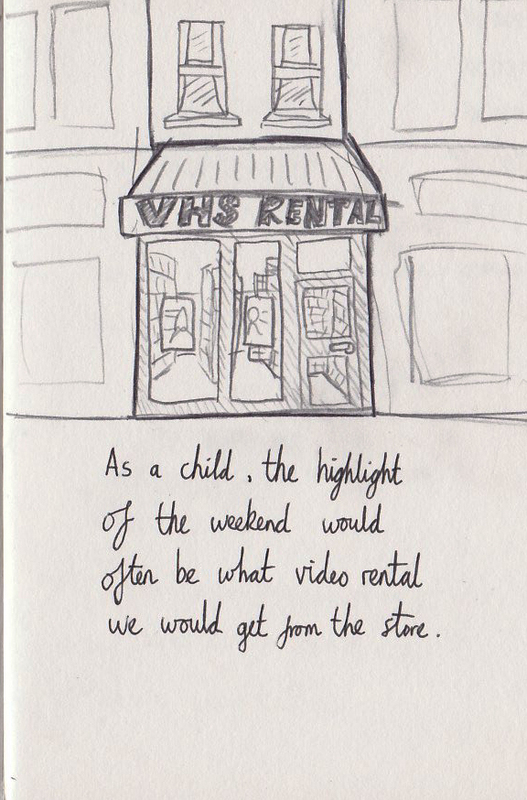 It’s a bit of fun! The show is 15th July-20th July 2013.There are other dance parts available especially for teenage ballet boys. The Show will be at the Watermans Theatre in Brentford, The School is always looking for men and boys to join the school, especially teens. As you can imagine they are out numbered by the girls. Every year it is a struggle to find some males to help complete the cast and partner the girls. To grab this opportunity please call Richard on 07506001406. Although it’s a Big Picnic it’s still part of the national Big Lunch event. 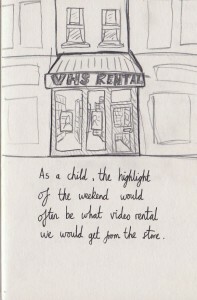 The aim is simple – just give local people a chance to come together to enjoy themselves. If everyone can bring their own food we are working on plans for some games, a magic show and other activities for children and teenagers and live music for all. It’s just for two hours so do please come along …and we just hope the weather will be good. I’ll post more information nearer the time when we have firmed up exactly what will be going on and who will be playing on the music stage. 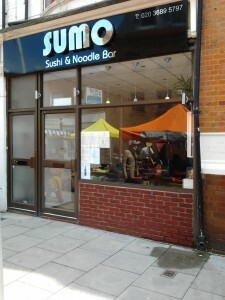 I’ve just had a flier through my door for the new Sushi and Noodle Bar in West Ealing. So, the renovation work must be finished and the one-time Joey’s cafe in Leeland Road next to the Salvation Army is now the Sumo Sushi & Noodle Bar. It’s open from 12noon -3pm for lunch and 6-10.30pm for dinner and they do take-away and home delivery. If anyone tries it do please come back and write a review here for us. Their website is www.sumooriental.com and has their menu and prices on it. Good luck to them. A night of poetry and music honouring the courage and resilience of those who suffered in Chile, and celebrating collective strength in the face of adversity and exile . * Gabriel Palma, Senior Lecturer in Economics and Politics, Cambridge!University!